Hill Country living for Austin city dwellers. With Lake Travis schools, miles of hike and bike trails and kid-friendly parks, Serene Hills is the place where your dream home becomes a reality. Our largest lots are tucked away in Las Colinas Estates and range from .4 – 2 acres overlooking the Texas Hill Country. This section was featured in the 2015 HBA Parade of Homes. Lots in La Campana range from 80-100 front foot lots, plus 10,000 square-feet, at the minimum. Custom builders for La Campana include Sitterle Custom Homes. Spanning 465 acres, Serene Hills has set aside 342 acres as unspoiled natural preserve. From the east trailhead to the west trailhead, our green space covers 5 miles of countryside and ensures you have plenty of room to walk along our Serene Hills riverbed. With outdoor workout spaces and peaceful terrain, you can explore your own backyard. Live on the tallest peak in Lakeway overlooking stunning Lake Travis. Serene Hills is opening our final subdivision, Las Colinas del Lago, featuring only 20 exclusive lots for purchase. 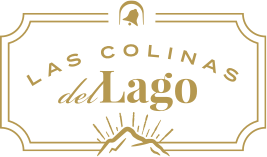 Las Colinas del Lago builders include Eppright Homes, and Seven Custom Homes.